Once you have secured the condo unit you have always wanted to purchase in Tampa, Florida, it is time to take precautionary steps to ensure the safety of your belongings. What you need is condo insurance to guarantee protection for your investment if ever disaster strikes. First of all, it is essential to understand that condos are not a type of residence but a form of ownership. The unit owners own their unit while sharing some common elements with the other owners while possessing the unit in full. Condo unit insurance can be confusing because it requires your insurance program to be put together as if it is a puzzle. For personal responsibility and damage to the contents of your unit, these two are generally covered by your homeowner’s policy, which you may know as the HO6 policy. It should be simple and easy to understand for you. However, what gets truly perplexing for many condo unit owners in Tampa is the first in the list above. What happens when the unit gets damaged? It is vital that you are insured so when problems arise, you know how to deal with the situation. Is Damage to Your Unit a Big Issue? The truth is that it should not be a significant issue such that it requires your attention. The association typically insures condo building complexes. However, what should concern the condo owners is the extent of the insurance coverage. How much of the building is insured by the association? The answer to this varies greatly. Damage to the floors, walls, and the other parts of the unit should always be coordinated with the insurance policy of the condo association. This way, gaps in coverage can be prevented. Do You Really Need Condo Insurance? Many condo owners ask this question a lot. After all, why do you need a separate insurance policy when the condo building is already insured? The answer is simple: they are not the same. The building insurance policy, which is known as the shared insurance policy, only covers the common areas in the condo, such as the gym, elevators, and the lobby. It does not include your personal belongings. The shared insurance policy is beneficial for you since it is possible that the things outside and around your unit may be protected. However, the items you own inside your unit, as well as the improvements you have made are not covered. Additionally, this particular policy does not provide liability coverage, which means you will not be protected if ever there are claims made against you. More importantly, as the condo owner, you are responsible for some major repairs for the unit. Condominiums may have different rules, but some in Tampa may stipulate that if a particular accident or loss started in your unit, such as a pipe bursting in your unit that spreads to the other units, you could be responsible as well. It could easily lead to tens of thousands of dollars’ worth of expenses. It is why when you have your own insurance policy, you gain extra protection. You may find it complicated to figure out the right condo insurance you need, but we have advisors here at Webb Insurance Group who can assist you in tailoring an insurance package that is right for your needs. What Does Your Tampa Condo Insurance Cover? All-Risk Coverage: As the name suggests, this policy covers all the contents of your unit, as well as the improvements you have made to it because of certain accidents and other causes. It has the broadest range of risks and perils, which provides you with the excellent protection. However, there are some exclusions from the policy, such as if you intentionally damage the condo unit. Personal Liability: With this policy, you gain the protection if ever you unintentionally injure someone. It may also protect you if you damage their property, which may mean you are responsible for paying the damages that resulted from an accident. For instance, someone slipped and fell in your unit, and he or she broke his leg, causing the person to stay at home and miss work for a certain period. Contents Insurance: This insurance policy covers your possessions, including when you leave and travel, for damages due to the most common types of risks. Replacement Cost Coverage: It includes the contents of your unit for the replacement amount without depreciation. You can use this coverage to your benefit as it reimburses you for the difference between what you paid to replace or repair and the actual cash value of the item you own. Additional Living Expenses Policy: You can use this coverage to pay for necessary and reasonable expenses, such as food and hotel if ever you are in a situation where you are forced to leave the condo after a disaster or any peril. All the insurance coverage listed above comes with a limit, which is natural with every kind of policy no matter what they are. The limit is the maximum amount you can receive or be reimbursed for a specific covered claim. Note that you may be required to pay a deductible before the coverage can be applied. If you have more questions and you want to find out which condo unit insurance will offer you with the best protection, we have all the answers ready for you here at Webb Insurance Group. Contact us to communicate with an insurance advisor so you can make an informed decision and start the application for the right insurance policy. 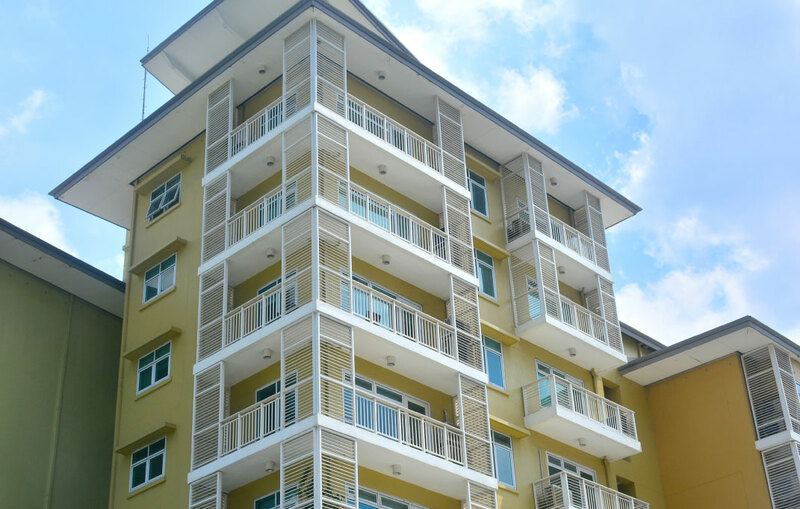 To find the best coverage for your condo, please contact us today.